From small accent walls, to garden walls, to raised planter beds, to large walls maybe holding up one side of your yard or your pool, to a full-on outdoor living area with seat walls and firepits. No matter what your needs are, Romanstone Hardscapes has the material. 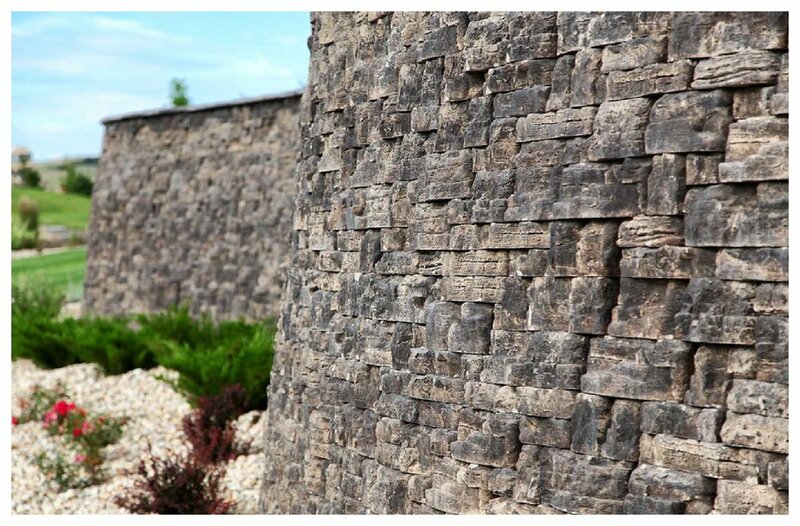 We produce the most trusted wall brands in the country: Versa Lok Retaining Walls, Keystone Retaining Walls, Rosetta Hardscapes, and Romanstone wall products such as Brutus, Caesar, and Apollo. Visit one of our certified Exteriorscape dealers today to select your Romanstone Hardscape walls (or pavers).